I have an easy Christmas craft for you today. If you have any wood from left over projects then this is gonna be super easy and cheap:0) If not, it’s still gonna be super easy and cheap! Ha! What your going to need to make this wooden tree is a few things. For the first step your going to want to start out at by cutting a 12 inch long piece of wood and then work your way up 1/2 in at a time. For the base piece use a 3.5 inch piece. Then begin to stack up the wood and stagger them just slightly. 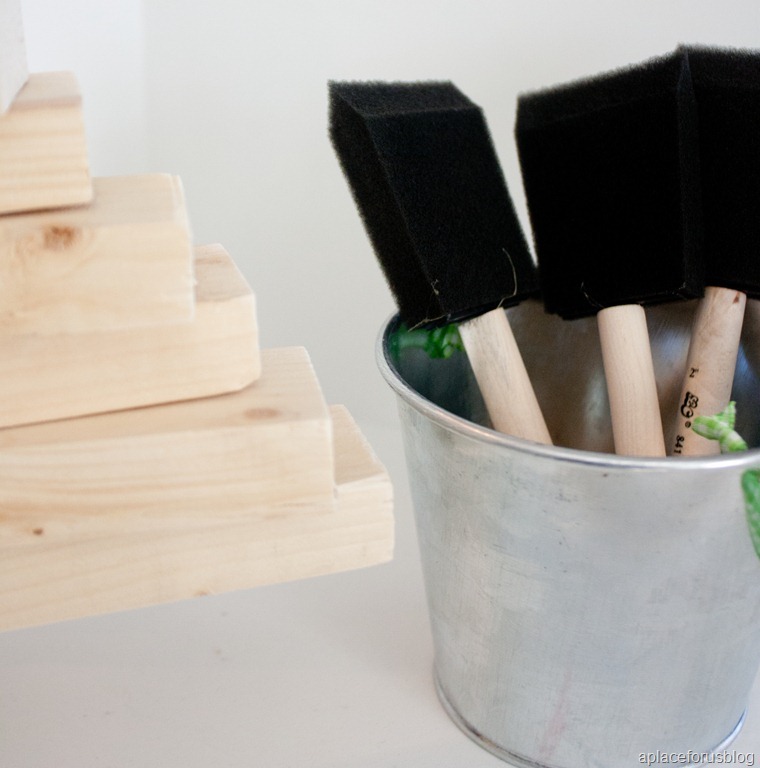 At the same time add enough glue to make sure that it will dry nice and firm! I used about 3 dots. One towards the middle and then on both sides. Here’s what I mean by staggered…. 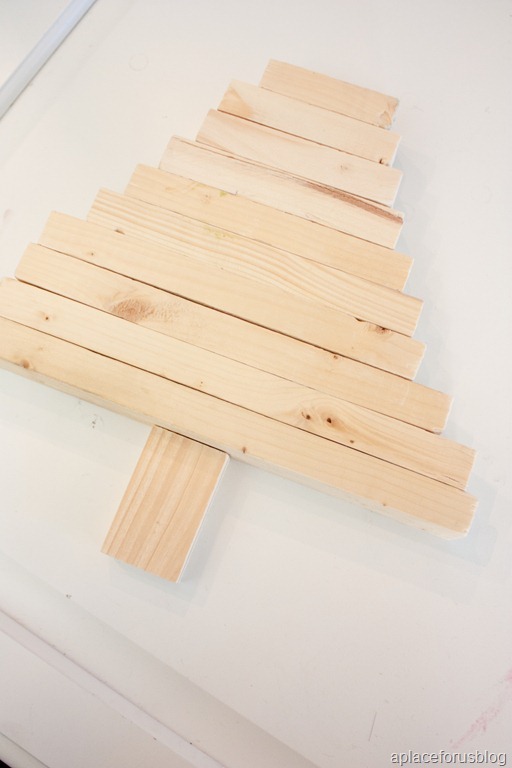 Once your tree has dried and you’ve attached the base then your going to want to take a piece of sandpaper and sand down all the rough edges and pick off any glue that may have made it’s way into the seams. 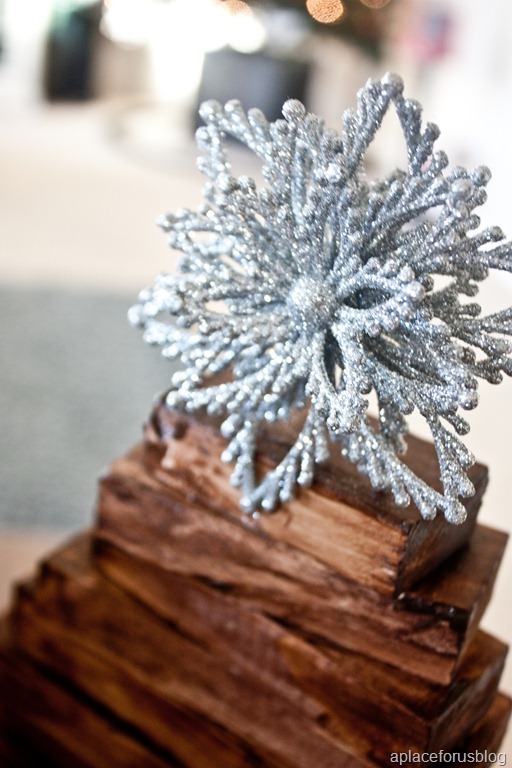 You can add a decorative topper like I did by using a star ornament and some hot glue or you can leave it as is. Either way it’s beautiful. I also used some paper ribbon to wrap the base. You can find this at the TomKatStudio! That was pretty simple right! Happy Tuesday folks! Have you started any Christmas crafting yet, or do you leave it to the stores to do that for you;0) Let me know! 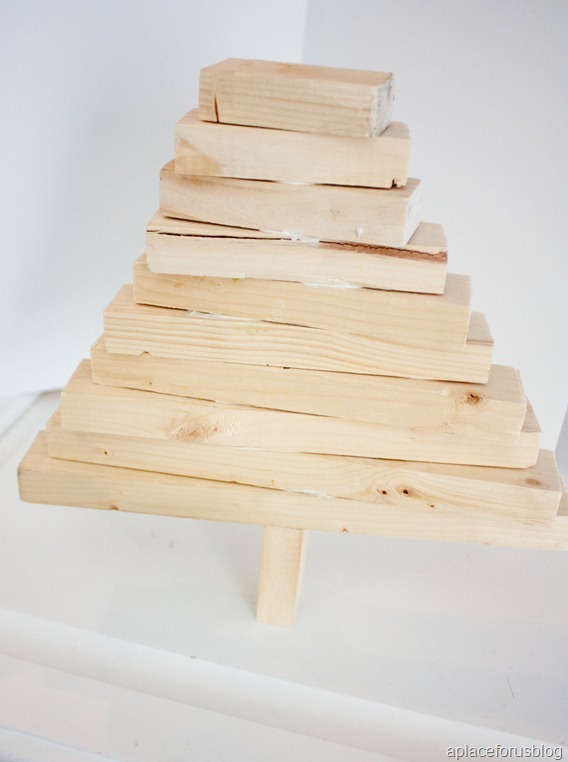 Looking for another Christmas craft? Learn how to make a floating sign here! Linking up to some parties too! 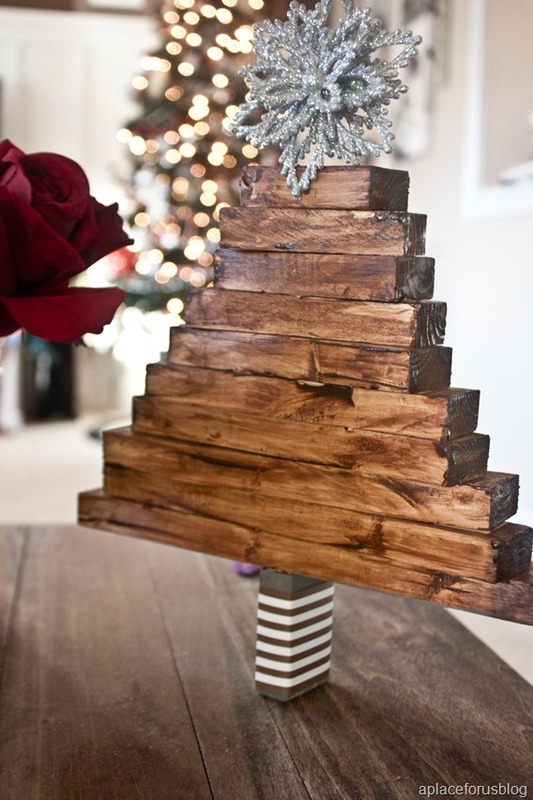 Cute cute idea for a tree. I love this! I love wooden trees. I have several of them all over my house!! Yours is beautiful! LOVE this tree, so simple and beautiful. 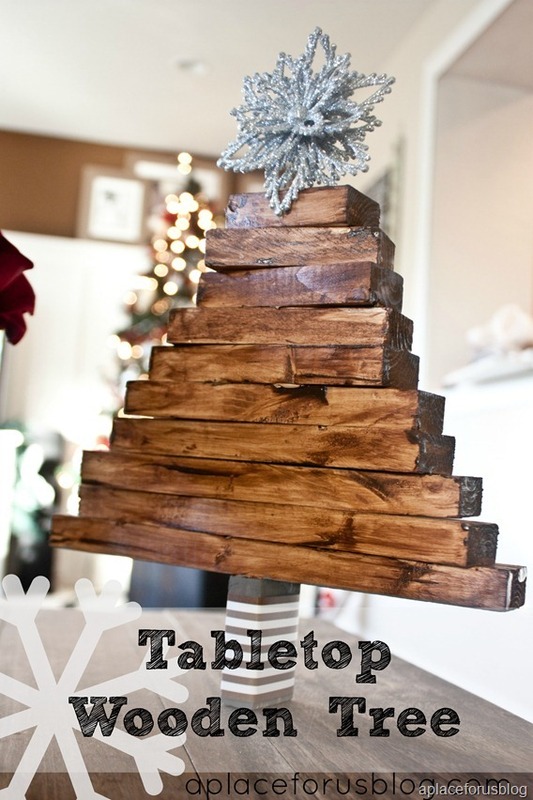 Okay, I just adore this project idea so very much that I pinned! I love this! And the ribbon on the bottom. Thanks Jeanette! I will check it out!! I love to see all the different ideas people come up with for Christmas decorations! So simple and cute! 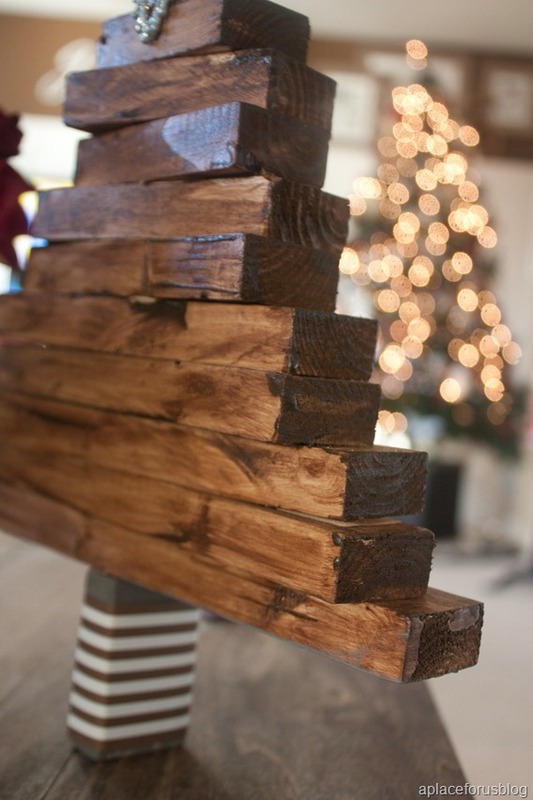 Love the rustic charm it adds to holiday decor! I love this tree – so unique! I tried emailing you but it’s not listed under your contacts. Could you please shoot me an email at eclecticallyvintage@gmail.com – thanks! Thanks Kelly! 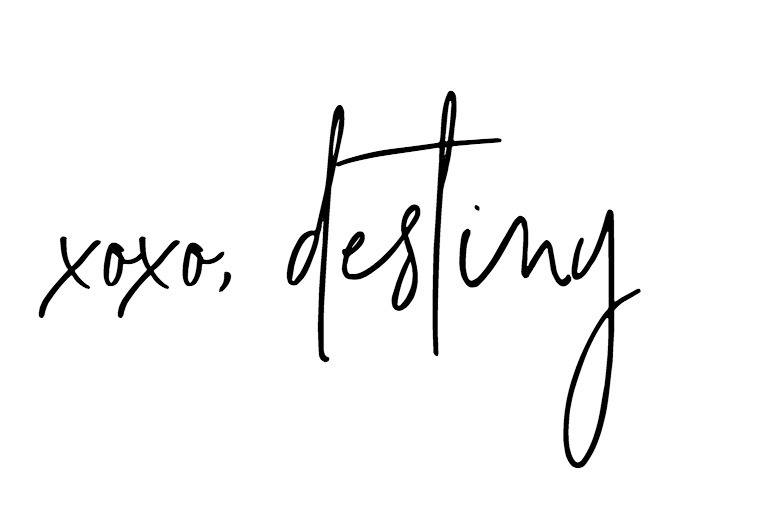 Never heard from you:0( You can email me at destiny@aplaceforusblog (dot) (com) Hope it didnt get buried in spam!